Buying real estate internationally can be an exciting adventure and also a savvy investment. Every location has its own unique characteristics as well as areas that require careful thought and consideration. Belize is a beautiful, tropical destination and is a popular location for real estate investments. Even if you have plenty of real estate experience in North America, Europe or even elsewhere in Central America, keep in mind that Belize is a nation unto itself. By learning as much as possible about Belize and what to look for and inquire about, you’ll be better equipped to make the right investments. Here are some of the most helpful tips to guide you as you begin considering purchasing real estate in Belize. One of the biggest mistakes you can make when purchasing real estate anywhere is buying property without first seeing it in person. It may be tempting to go for that great deal online, especially when there are fantastic pictures to back it up. But often, lower prices translate to less desirable or even inaccessible areas. One particular thing to note is the rainy season in Belize. For most people, this is a natural part of the weather cycle, and it is a minor issue that pales in comparison to a cold or snowy winter. However, heavy rains in some areas can translate into impassable areas. The property you loved and purchased during the dry months might be completely inaccessible for part of the year. Consider visiting at different parts of the year to see what the location is like year-around. Take note of the roads in your area of interest. Are they paved or are they dirt? In some parts of Belize, not all roads are paved, and you might need to consider distance in minutes, not necessarily miles. 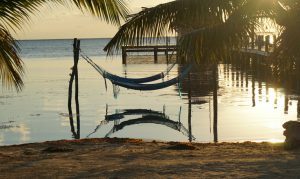 One of the great things about Belize, and one of its biggest draws, is its laid-back atmosphere. It’s highly doubtful you will be in much of a rush here, regardless of the conditions of the roads. It is not uncommon to see beautiful homes in many locations in Belize. However, some are placed in remote areas where key infrastructure elements might not yet be in place. Do some research to find out what kinds of amenities and services are in the surrounding area. Of particular note is medical care. Fortunately, Belize offers some fantastic, high-quality medical services for locals as well as visitors. Once again, consider accessibility. Look for properties within a reasonable driving distance of grocery stores, transportation hubs, and hospitals. Also, consider the fact if you are planning to live in Belize fulltime. If not, purchasing real estate in an area with a well-developed infrastructure offers you the opportunity to earn income by renting out the property for part of the year when you aren’t there. Another important thing to consider is the future development of the surrounding area. In many countries, there are limitations to what property owners can do on their lots. In Belize, zoning or deed restrictions vary. Therefore, it’s worthwhile to find out who owns the surrounding lots and what plans there are for the future. Many choose to buy into a development or a community owned by a single developer. This often means your neighbors are people just like you who are looking for a great investment and a little piece of tropical paradise found in the beautiful country of Belize. Look for reputable developers and run, don’t walk, from those who offer you vague plans for development. Even if you’re investing in real estate to diversify your assets, or you’re planning on acquiring a relaxing vacation spot in Belize that can also become a source of income, certain amenities are still a necessity. At the very least, you’ll want telephone and Internet access. Options include DSL and cable and, in some areas, fiber optics. However, in other areas communication options can be inconsistent. Make sure to find out in advance what technologies are available and any associated costs. While real estate financing is available in Belize, it may not be widely available for all real estate purchases. Often, a developer that offers financing is a sign of stability, and indicates that the funds are available to invest into infrastructure. If you do decide to opt for developer financing, look carefully at the terms and ensure that it is favorable to you in the long term. International banks are also a source of financing for your real estate purchase. Some banks offer terms that are favorable to the borrower with fewer restrictions and requirements than are found in other countries such as the United States. But as in any country, not all banks in Belize are created equal. Be sure to deal with a reputable Belizean bank that is credible, stable, and well-established within the community. Living in Belize offers a lot of clear advantages. You can enjoy a lower cost of living, tax benefits, a friendly culture, and a beautiful land and seascape just to name a few. Belize has a relatively low crime rate and has many safe, close-knit communities, including thriving expat ones. Safety is a top priority for everyone no matter where we live. Ask about local security and crime before making an investment. If you’re buying into a planned community or development, find out what kind of safety measures are currently in place. If possible, talk to current residents and other expats about their experiences. Arguably one of the biggest factors of buying property is securing the title. Title insurance is a guarantee that you, and you alone, have rights to the real estate you’re purchasing. Language barriers and cultural customs can pose problems when purchasing foreign real estate and acquiring associated title insurance. In some nations, foreigners aren’t legally allowed to own the title to property while in others, multiple parties can hold title to the same piece of land. If the seller can’t offer you the protection of title insurance, be on alert. Reputable companies and sellers should have no trouble meeting this basic requirement. Finally, take the time to speak with others who have made similar real estate investments. If you’re planning to buy a retirement home in a specific area of Belize, ask around and meet someone face to face who has already made the move. As stated earlier, there are flourishing and prospering expat communities in Belize filled with individuals who started out with the interest of purchasing real estate in Belize or investing internationally. If you’re looking at a certain development, ask the developer to introduce you to a few existing residents. This is one of the best ways to get an authentic picture of the quality and future of your real estate investment. Purchasing real estate is a great way to begin diversifying your assets and there’s no better place to invest in internationally than Belize. Contact Caye International Bank to learn more about taking the next step to purchasing real estate in Belize or other ways you can secure your future through international banking and investing. This entry was posted on Wednesday, April 18th, 2018 at 10:48 am	and is filed under International Loans. You can follow any responses to this entry through the RSS 2.0 feed. You can leave a response, or trackback from your own site.